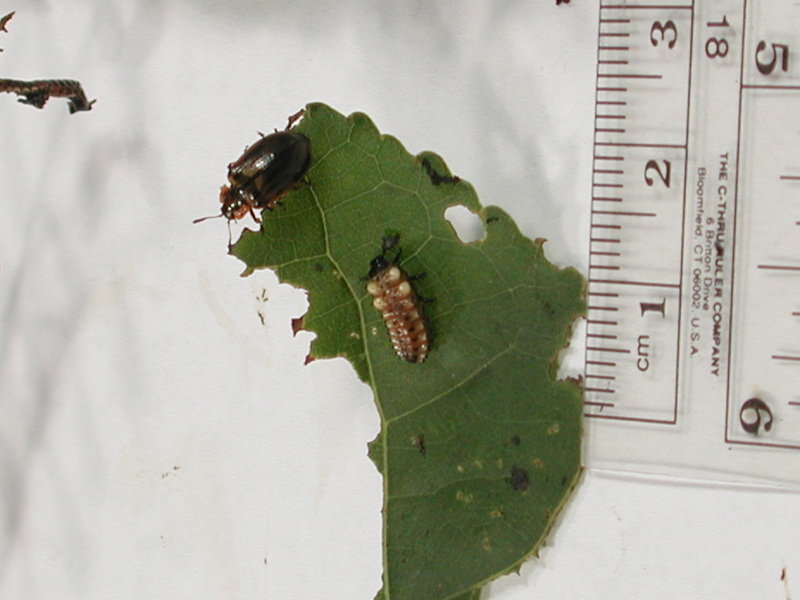 Larva, adult beetle and damage caused by the feeding of the cottonwood leaf beetle, Chrysomela scripta. Pest description and damage This family of beetles includes many small, often brightly colored and damaging beetles that feed on many plants. The eggs hatch into dark alligator-like larvae with tapered bodies. The young larvae scrape the tissue from the leaves until only the veins (or skeleton of the leaf) remain. When abundant, some species can skeletonize all the leaves on large trees. At other times, they may only cause minor damage. Adults chew holes in leaves while larvae skeletonize leaves. 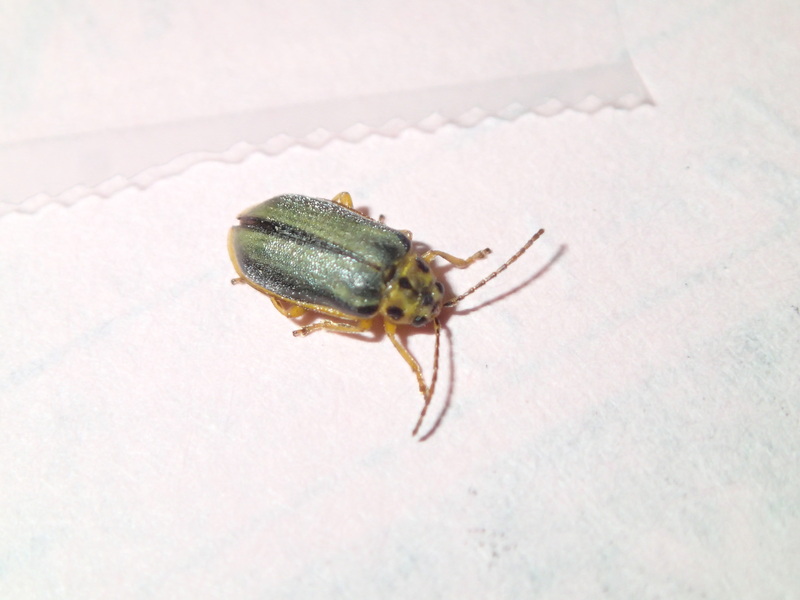 Biology and life history Biology varies with the many species of leaf beetles in the PNW. Adults usually emerge from hibernation in spring, mate and lay clusters of colored eggs on leaves. Larvae feed through the spring or summer. The number of generations per season depends on the species of beetle. Larvae often pupate on the host or may drop to the ground to pupate. Pest monitoring Watch for beetles or holes to appear in leaves, when adults emerge from hibernation in spring. Sticky traps may be helpful. Select less favored species or cultivars. In some cases, a handheld vacuum may be helpful to remove adults or pupae on the ground. For established or native pests, natural enemies such as parasitoids or predators may have some effect. Pheromones or traps may be available for some pests. Review more detailed biology for specific pests to determine if biological organisms (insect, fungi, nematodes) are available.